I love running A/B and multivariate (‘MVT’) tests. These are experiments designed to evaluate different design or copy variants, based on actual performance data. Instead of comparing or deciding on product options based on gut feel, an A/B or multivariate test allows to you to compare alternatives based on objective data and predefined success criteria. Insufficient traffic – Time and traffic are two important prerequisites if you want to be able to draw some meaningful conclusions from your experiments. However, what do you do if you don’t have a large user base yet or when you traffic starts faltering? Not sure which metric(s) to focus on – One of the things that I’ve learned the hard way is the importance of being clear upfront about the exact goal of the test and ensuring that you’ve selected the relevant metric(s) to focus on. Determine required sample size – Working out the sample size you need to in order to reach a “point of statistical significance” with your test can be tricky. Luckily, most A/B testing tools have an automated function for calculating this. The other day I came across a great post by Optimizely titled “Stats with Cats: 21 Terms Experimenters Need to Know”. Reading trough this piece really helped me in understanding more about how to best design an experiment and tackle some of the common issues which I outlined above. Statistical significance – Significance is a statistical term that tells how sure you are that a difference or relationship exists. For example, if you want want to be able to confidently tell whether there’s a difference between version A and B, you need a treshold (e.g. 95%) to describe the level of error you’re comfortable with in a given A/B test. Significant differences can be large or small, depending on your sample size. Confidence interval – This is a computed range used to describe the certainty of an estimate of some underlying parameter. In the case of A/B testing, these underlying parameters are conversion rates or improvement rates. Bayesian – This is a statistical method that takes a bottom-up approach to data analytics when calculating statistical significance. It encodes the past knowledge of similar, previous experiments into a prior, which is a statistical device. You can use this prior in combination with current experiment data to make a conclusion on a currently running experiment. Effect size – The effect size (also known as “improvement” or “lift”) is the amount of difference between the original version (‘control’ version) and a variant. This could be an increase in conversion rate (a positive improvement) or a decrease in conversion (a negative improvement). The effect size is a common input into many sample size calculators. For example, Optimizely’s A/B Test Sample Size Calculator lets you enter an expected conversion rate for your control version. Error rate – The error rate stands for the chance of finding a conclusive difference between a control version and a variation in an A/B test, or not finding a difference where there is one. This encompasses “type 1” and “type 2” errors. A type 1 error occurs when a conclusive outcome (winner or loser) is declared, and the test is actually inconclusive. This is often referred to as a “false positive”. With type 2 errors, no conclusive result (winner or loser) is declared, failing to discover a conclusive difference between a control and a variation when there was one. This is also referred to as a “false negative” (see Fig. 1 below). Hypothesis test – Sometimes called a “t-test”, a hypothesis test is a statistical inference methodology used to determine if an experiment result was likely due to chance alone. Hypothesis tests try to disprove a null hypothesis, i.e. the assumption that two variations are the same. In the context of A/B testing, hypothesis tests will help determine the probability that one variation is better than the other, supposing the variations were actually the same. Fixed horizon hypothesis test – The key thing with a fixed horizon test is that it’s designed to come to a decision about version A or B at a set moment in time, ideally after reaching the point of statistical significance. Sequential hypothesis test – A sequential hypothesis test is the opposite of a fixed horizon hypothesis test, as the underlying principle of this test is that the experimenter can make a decision on the test at any point in time. Main learning point: Even though I’m not a statistician or a data analyst, I found it really helpful to learn more about some of the terms that experimenters need to know about. Especially given some of the challenges with respect to running successful experiments, I believe it’s important to think through things such as a null hypothesis or desired effect size before you design and run your experiment. Context (Co) – Context emerges from understanding who we are working with and why they’re doing what they are doing. Who are the people with an interest in the results of the project? What are they trying to achieve and why? Shron offers some good examples of context (see Fig. 1 below). The context provides a project with larger goals and helps to keep us on track when working with data. Contexts include larger relevant details, like deadlines and business objectives, which help to prioritise. Needs (N) – It’s useful to see how Shron looks at “needs” from a data perspective; “what are the specific needs that could be fixed by intelligently using data? If our method will be to build a model, the need is not to build a model. The need is to solve the problem that having the model will solve.” Shron goes on to explain that “when we correctly explain a need, we are clearly laying out what it is that could be improved by better knowledge.” I’ve included some good examples of needs in Fig. 2 below. Vision (V) – Shron describes the vision as “a glimpse of what it will look like to meet the need with data”. The vision could consist of a mockup describing the intended results, or a sketch of the argument that we’re going to make, or some particular questions that narrowly focus our aims (see Fig. 3 below). Outcome (O) – For a data scientist, the “outcome” is all about understanding how the work will actually make it back to the rest of the business and what will happen once it’s there. How will the data and/or insights be used? How will it be integrated into the organisation? Who will use it and why? Shron stresses that the outcome is distinct from the vision; the vision is focused on what form the work will take at the end, while the outcome is focused on what will happen when the work is done (see Fig. 4 below). 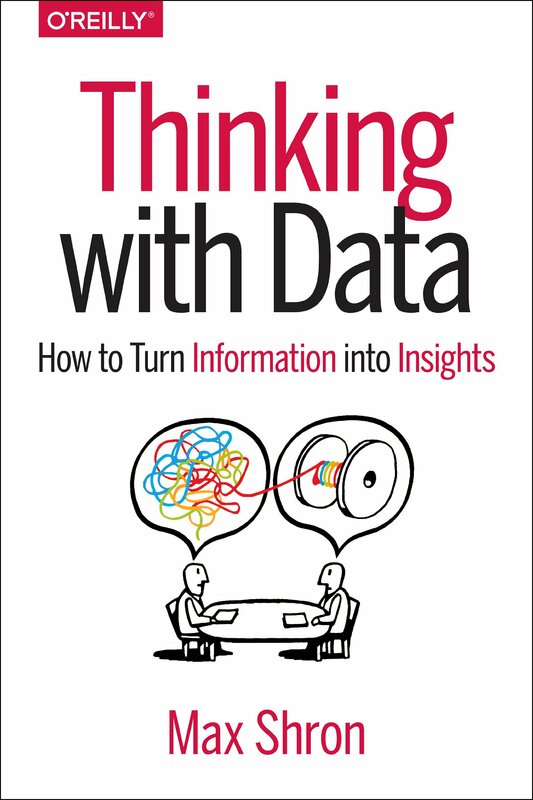 Main learning point: Even though I got the sense that “Thinking with Data” is more aimed at data scientists and analysts, I found the book very useful for me as a ‘non-data professional’. Despite it being a very short book, Shron gets his main “CoNVO” concept across very effectively. A good use of data starts with properly scoping the problem that you want to solve. An unstructured scope will make it hard to gather the right insights and to use large data sets intelligently. Using Shron’s CoNVO model will help to gather and analyse data in very targeted and efficient kind of way. This department in a large company handles marketing for a shoe manufacturer with a large online presence. 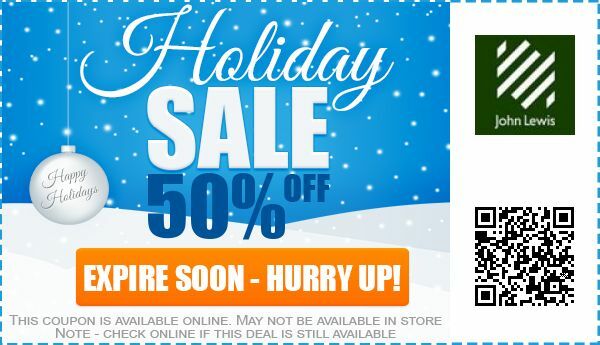 The department’s goal is to convince new customers to try its shoes and to convince existing customers to return again. The final decision maker is the VP of Marketing. This news organisation produces stories and editorials for a wide audience. It makes money through advertising and through premium subscriptions to its content. The main decision maker for this project is the head of online business. Our customers leave our website too quickly, often after reading only one article. We don’t understand who they are, where they are from, or when they leave, and we have no framework for experimenting with new ideas to retain them. 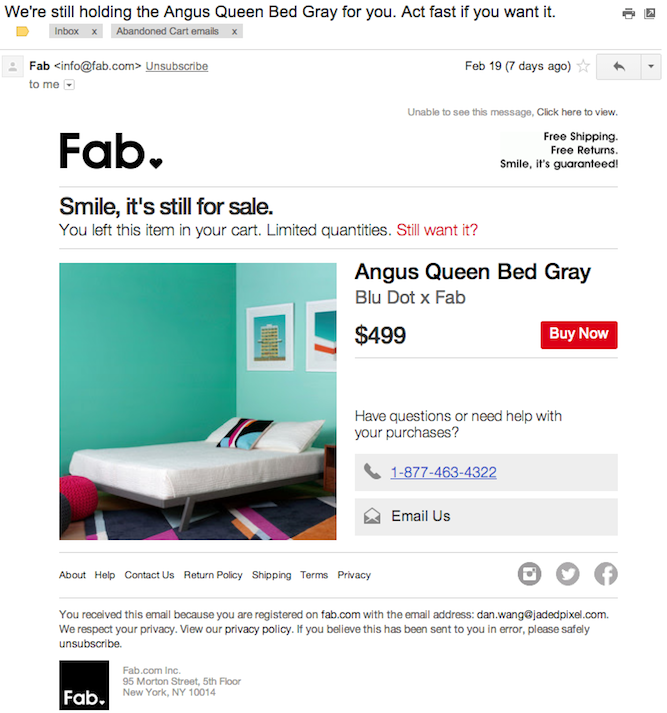 Is this email campaign effective at raising revenue? We want to place our ads in a smart way. What should we be optimising? What is the best choice, given those criteria? We want to sell more goods to pregnant women. How do we identify them from their shopping habits? Mockups can take the form of a few sentences reporting the outcome of an analysis, a simplified graph that illustrates a relationship between variables, or a user interface sketch that captures how people might use a tool. The probability that a female employee asks for a flexible schedule is roughly the same as the probability that a male employee asks for a flexible schedule. There are 10,000 users who shopped with service X. Of those 10,000, 2,000 also shopped with service Y. The ones who shopped with service Y skew older, but they also buy more. A mockup shows what we should expect to take away from a project. In contrast, an argument sketch tells us roughly what we need to do to be convincing at all. It is a loose outline of the statements that will make our work relevant and correct. While they are both collections of sentences, mockups and argument sketches serve very different purposes. Mockups give a flavour of the finished product, while argument sketches give us a sense of the logic behind the solution. Mockup – After making a change to our marketing, we hit an enrolment goal this week that we’ve never hit before, but it isn’t being reflected in the success measures. Argument sketch – The nonprofit is doing well (or poor) because it has high (or low) values for key performance indicators. After seeing the key performance indicators, the reader will have a good sense of the state of the nonprofit’s activities and will be able to adjust accordingly. In mocking up the outcomes and laying out the argument, we are able to understand what success could look like. The most useful part of making mockups or fragment of arguments is that they let us work backward to fill in what we actually need to do. The metrics email for the nonprofit needs to be set up, verified, and tweaked. Sysadmins at the nonprofit need to be briefed on how to keep the the email system running. The CTO and CEO need to be trained on how to read the metrics emails, which will consist of a document written to explain it. The marketing team needs to be trained in using the model (or software) in order to have it guide their decisions, and the success of the model needs to be gauged in its effect on the sales. A few weeks ago I wrote about relational data models and databases and some of the basic principles which I learned about in an online Stanford course. As part of the same course I recently learned about “XML” which stands for Extensible Markup Language, a standard for data representation and exchange. Having worked in the entertainment industry for a few years now, I’ve often find myself looking at metadata in the form of XML, but it was great to get a good refresher as part of my course. 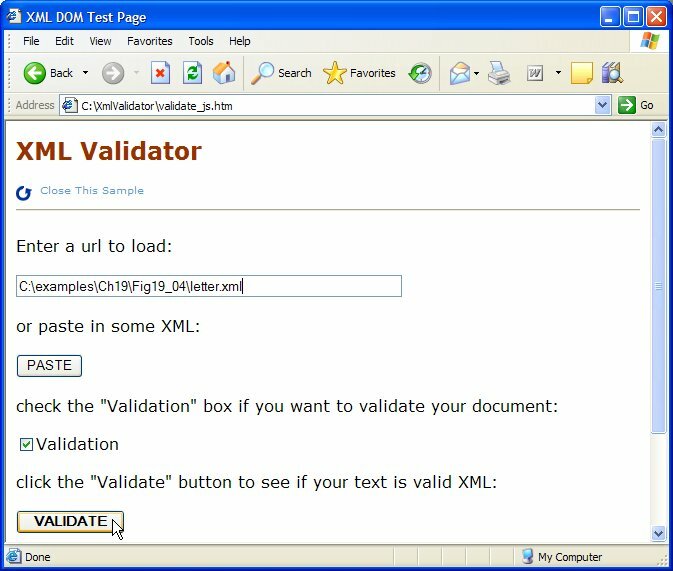 With XML, validation is a key aspect. In an oversimplified way, it comes down to taking an XML document and validate it against a set “XSD” (XML Schema Descriptor). This process determines whether the XML document is valid or invalid (see Fig. 1 below). During the class, Jennifer also highlighted that XML documents contain two file types. First, a schema file which contains the XSD. Second, the actual data file. I then struggled a bit when Jennifer talked about “DTDs”. I subsequently learned that “DTD” stands for ‘Document Type Definition’ and is a set of markup declarations which defines the legal building blocks of an XML document. Key declarations – In DTDs, document or item IDs have to be globally unique. An XML ID can be specified through an attribute value only. This means that you can’t index elements in the XML based on a parent-child relationship (see Fig. 2 below). Key declarations in XML aim to overcome such limitations. Type values – XML Schema has a lot of built-in data types. The most common types are string, decimal, integer, boolean, date and time. I’ve found some useful examples of ‘simple type’ and ‘complex types’ XML schema (see Fig. 3 below). References – References can refer to already defined keys (see my previous point about key declarations) or so-called “typed pointers”. A typed pointer must point to a specific element of the XML (e.g. a string) which in term must confirm to the specification as laid out in the pointer. Currents constraints – In XML one can specify how many times an element type is allowed to occur. One can thus specify a minimum and a maximum number of occurrences. Main learning point: In her online video on the basics of XML, Jennifer Widom provided a useful overview of XML. Even though I had looked at XML schema before, it was good to understand more about some of the foundations behind XML and XML validation. Here, the section described together with “xs:string” is an embedded simple type according to XML Schema. In this example, we have established the definition that the data type for the element called “Department” is a text string. In this case the type name “EmployeeType” is designated by the name attribute of the complexType element. A model group (what designates the order of occurrence for the child element) is designated in the child element. New types are created by placing restrictions on or extending simple or complex types. In this volume, we will discuss restrictions and extensions for simple types. 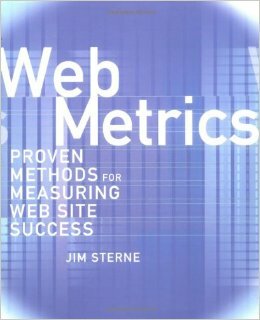 When I asked analytics expert Barry Mann about any good books on analytics, his advice was short and sweet: “simple, read Web Metrics by Jim Sterne“. Even though this book was published back in 2002, Barry recommended this as a great textbook on analytics. And so it proved to be. “Web Analytics – Proven methods for measuring web site” does a great job in distinguishing between the things one wants to measure (and why) and the tools one can use for measuring. Division of analytics tools – Sterne references a useful way of dividing tools into four levels. This breakdown comes from Gartner and offers a handy way of looking at available analytics tools (see Fig. 1 below). The importance of log files – A great tool to start with is log files. Reading Sterne’s chapter titled “Sawing Logs” really helped me in asking the right questions before starting to look at the log files of a website (see Fig. 2 below). Understanding your visitor data – The chapter in the book which talks about “valuing visitors” is great in helping you think about different type of visitors and their – expected or desired – behaviours (see Fig. 3 below). Measuring stickiness – For commercial websites, the question of stickiness is one of branding and persuasion. First, how can we get people to stay longer with our brand? Second, when people engage with our brand, are we leaving the right impression? Sterne provides some useful formulas to calculate stickiness (see Fig. 4 below). Calculating conversion – Sterne helpfully describes “conversion” as “whatever moment of commitment happens on your site”. He then goes to elaborate on a number of related metrics: navigation and search impact conversion, depth, recency and frequency, abandonment and checkout (see Fig. 5 below). Main learning point: Web Analytics by Jim Sterne is a great book for anyone who is either new to the world of analytics or wants to build on a basic understanding. Sterne spends a great amount of time talking about the ‘why’ of certain online metrics and how to best measure them, which I found incredibly helpful. Level 1: Monitoring – The focus is on website optimisation. You look at server logs to figure out how to get people to stick around longer and give them more of what they want. Level 2: Feedback – Here you pay attention to the site visitor and try to improve the user experience. You look at the amount of time people spend on the site, and you use visitor segmentation to alter the content for different types of visitors. Level 3: Leverage – The focus shifts from the visitor to the customer, and the goal is to increase customer profitability. Customer profiling, dynamic up-selling and cross-selling, and customer satisfaction all come into play. Level 4: Strategic – Now the spotlight is turned around to shine on the company itself in order to optimise the business model: channeling low-margin customers to the competition, tracking lifetime value, and getting into some serious business intelligence analytics. Search terms used – Use referer log files of the search terms that a person has typed into Google. The URL of the page they were on is recorded, and that URL includes the long string of data the search engine used to produce the page, including the search term itself. Most used entry and exit pages on a site – Server logs show the most used entry and exit pages on a site. These are the pages most people use as a door into a website and the last page they looked at just before they left. Number of hits – Log analysis tools like WebTrends provide a good overview of the number of site hits: (1) entire site, (2) average per day and (3) home page. Number of page views – Looking at (1) the number of page views (impressions), (2) average number of page views per day and (3) document views. Visitor sessions – Looking at (1) the number of visitor session, (2) average number of visitors per day, (3) average visitor length, (4) number of unique visitors, (5) international visitor sessions, (5) visitors from the United Kingdom and (6) visitors from unknown origin. Visitors – Looking at (1) number of visitors, (2) visitors who visited once and (3) visitors who visited more than once. Unique visitor – The easiest way to track unique visitors is to look at their IP addresses. However, what do you do when your server logs show that two visitors came from two IP addresses, but if they come from the same online gateway or corporate firewall, how do you distinguish between them? Cookies are the best way to work out unique visitors in this scenario. Return visitor – Placing a cookie on a visitor’s computer is the best way so far of telling one visitor from another and knowing if the visitor has been to your site before. Two big drawbacks to this approach though: (1) lots of people are annoyed by cookies and will disable them and (2) many corporate firewalls won’t allow cookies to go through the corporate firewall. 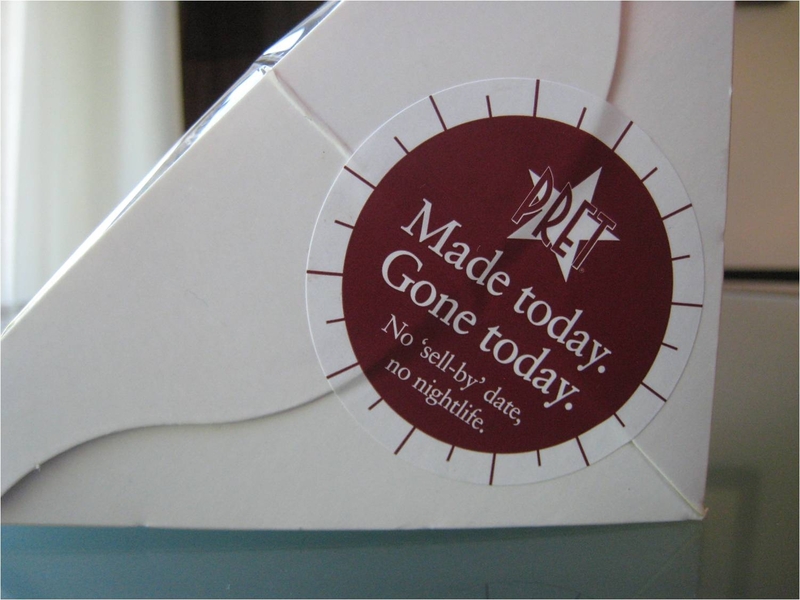 Stale visitor – Qualified visitors eventually lose their qualifications when they don’t come back for a spell. The length of this spell is likely to depend on the type of product or service that one is selling. User – A visitor is visitor. They come, they look, they may event become qualified if they stay long enough and dig deep enough. But a user comes to your site repeatedly and for a reason. Churn – Churn measures how much of your customer base rolls over during a given period of time. Divide the number of users who fail to return in a given time period by the total number of users at the end of the time period and you’ve got your baseline. You can easily calculate stickiness by multiplying frequency (F) by duration (D) and reach (R) and come up with a benchmark for your content. You choose whether frequency is measured per day, per week, or per month. Duration can either be calculated in minutes or pages. Reach is a percentage of your total potentially interested universe. With navigation and search impact conversion, it’s useful to look at the “first purchase momentum”. This will provide you with insights into the clarity of your navigation; what us the actual number of clicks-to-purchase and how does this compare to the minimum required clicks to first purchase? It can be helpful to look at depth – How many pages of your website did people look at? And at what level of detail? Did people look at any specific product detail? Recency and frequency are about looking at the relationship between visits and purchases. As Sterne points out, “Not all buyers are first-time visitors, and not all first-time visitors are buyers. What’s the relationship? What is the pattern of visits for an individual user.” Marketing professors Wendy Moe and Peter Fader wrote a paper in 2001, which looks at the ability to predict purchasing probabilities for a given visit. 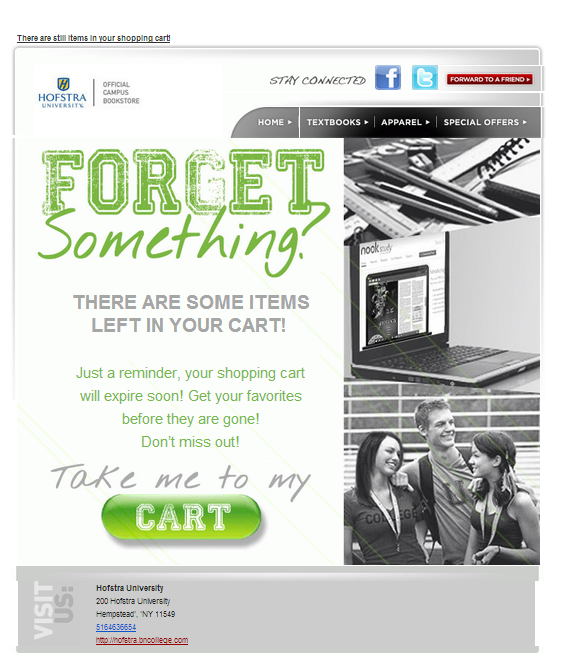 Abandonment – Sterne provides some very useful metrics in relation to shopping cart abandonment: (1) the ratio of abandoned carts to completed purchases per day (2) the number of items per abandoned cart versus completed transactions (3) the profile of items abandoned versus purchased and (4) the profile of a shopper versus a buyer. The overall abandonment rate is the number of people who commence but do not complete the buying process. Apart from talking about the aforementioned shop-to-purchase ratio, Sterns also look at yield which determines the effectiveness of a multi-step process where incremental costs aren’t available, such as creative / banner testing or the comparison of two paths leading to the same path. What is the impact of online channels on offline and vice versa? – Given the fluid nature of consumer decision-making, alternating between online and offline, it’s important to measure the impact of online activities on offline and vice versa. What does the conversion path look like? – How and where do we convert people into paying customers? Where do we lose people and why? Which channels do contribute to conversion and to which degree? 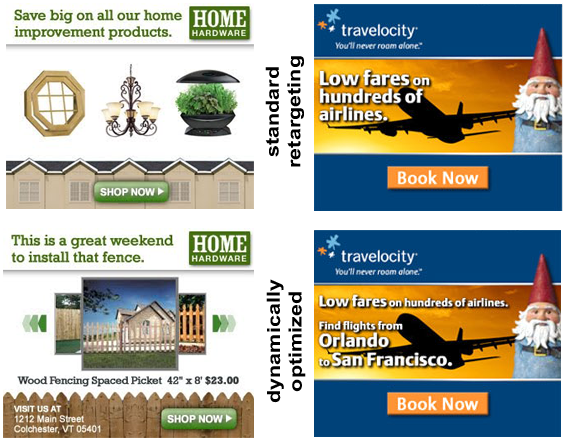 What is the impact of online channels on offline conversion? – As a product person, I’m keen to understand the relationship between online activities and actual purchases in-store. This understanding helps me to focus on the right online and offline elements of the value proposition, comprehending which things can be optimised inline to achieve a specific outcome in-store. How do I best measure revenue impact of my website or mobile app in an omni-channel world? – For example, I’ve got a nice eCommerce site or app with a decent amount of traffic, 20% of which gets converted into actual online purchases. However, what happens with the remaining 80% of traffic that doesn’t get converted? Is my website or app delivering some value to this 80%!? If so, how? Can we measure this? Track online store locator or directions – If I track in an analytics tool the interactions with the URL for Marks & Spencer’s store locator, I can start learning about the number of Unique Visitors that are using the store locator in a certain time period (see Fig. 1 below). In addition, I can look at the number of visits or visitors where a certain post code or town has been entered into the store locator. I can take this insight as a starting point to learn more about the people within a certain geographical area that have a tendency to use the Marks & Spencer site and its store locator. 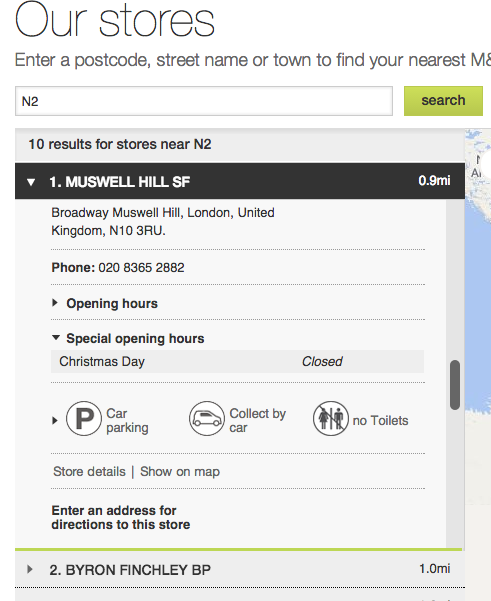 Once a user then goes on to click on “Show on map” or “Enter an address for directions to this store” you can make some inferences about the user’s intentions to actually visit the M&S store in question. 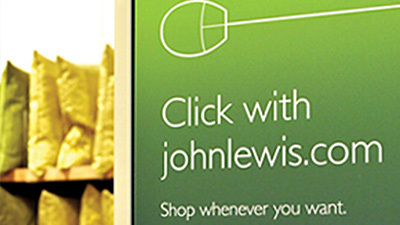 Use of a promo code – Using an online voucher or promo code is an obvious way to combine online tactics with offline conversion (see a John Lewis example in Fig. 2 below). One can use the promo code as an event in an analytics tool and capture data on e.g. the number of codes or vouchers exchanged in-store vs the number of vouchers sent. I guess the only downside is that you’re unable to capture many interesting insights if a user doesn’t redeem her voucher or code. Controlled experiments – Running controlled experiments was the bit in Kaushik’s piece that intrigued me the most. The idea behind these experiments is to validate retail ideas in the real world (the same as “experimentation” in a ‘lean’ context, which I’ve written about previously). As Kaushik explains, “the core idea is to try something targeted so that you can correlate the data to your offline data sources (even if you can’t merge it) and detect a signal (impact).” I’ve included some prerequisites for successful experiments in Fig. 3 below. One of them is to isolate the experiment to different states that are far from each other. As Kaushik explains, this way you are isolating “pollutants” to your data (things beyond your control that might give you sub optimal results). Main learning point: Learning about how online can affect offline conversion felt like a good starting point for my getting a better understanding of the world of omni-channel analytics. The next step for me is to find out more about the impact of offline on online conversion: how can we best measure the impact of what happens offline on the conversion online? Clearly defined customer segments of a decent size to quantify the impact of the experiment. Design the experiment in such a way that the results can be isolated and compared in a meaningful way (e.g. IKEA umbrella sales on a rainy vs on a sunny day). Random selection of customers in the control group (who get the current offering) and the treatment group (who get the experimental offering). Clear assumptions and hypotheses which underpin the experiment. 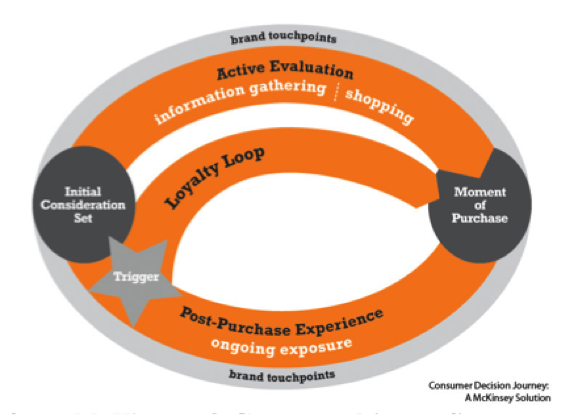 Create a feedback loop which allows you to measure or observe how customers respond to different experiments.